I’ve said it before – being a writer is a marathon, not a sprint. You have to be in it for the long haul. What I have to keep reminding myself is, this also applies to the goal of one day living off of writing. 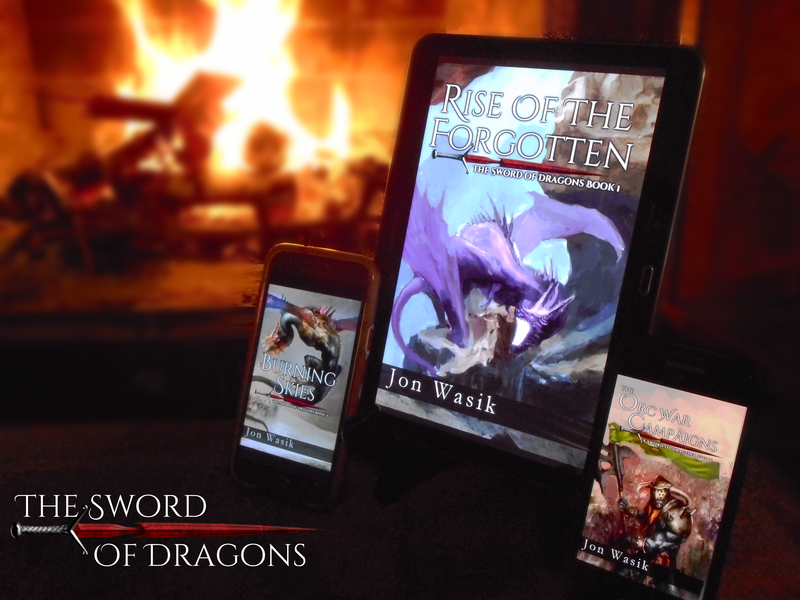 With my triple-book launch of the Sword of Dragons series on November 16th, I was extremely pleased to find that not only did my books start off well, but they were trending upwards! It looked like my marketing attempts were succeeding! And then…nothing. No, I mean, nothing, for four days, not a single sale or KU read. From doing better than the totality of my previous publication to zero activity. But then something strange happened. A coworker excitedly told me today that she had ordered and received two of the three books last week. I frowned, went to my KDP dashboard, and found no print sales, at all, on or after the date that she had ordered them on. I started looking at other numbers, and did some math, and realized that my ad campaign dashboard showed that I had made more sales than what was showing up on my sales and royalties dashboards. A quick google search later, and I come to find out that this has been a known issue since September with KDP. It’s entirely possible that there’s still activity going on, I just can’t see it. At least, that’s my hope. I know, it sounds weird, but bear with me. To the fine folks out there who are in construction, please forgive me as I over-simplify things here – building a house is relatively simple and quick. For most writers, getting that first novel out there is a huge accomplishment! Hard work, dedication, perseverance (aka stubbornness) have produced a product you’re proud of! But, unless you’re one of those lucky/talented few, that’s not enough. Sure you’ll hook some readers and all…but it takes more than that to build a city. It takes time. Lots of time. And more than one book. I keep seeing a ‘magic number’ online, 3 books to start getting a following. And honestly, I’m not sure if Orc War Campaigns counts, being an anthology of short stories. Either way, I saw a lot of positive results at initial launch, and I’ve received positive feedback, and even heard from folks who say they haven’t had a chance to buy yet, but will be within the next week or two as funds allow. So I’ve had to remind myself, and am reminding all of my fellow writers out there: if you really really want to make it as a writer, remember that it’s going to be a rocky start. You need more books. You need to work on getting your name out there. But you also need to allow for the seed you’ve planted with your first couple books to grow. And it’ll take time. Keep at it. Stay passionate. Try not to despair. Glitches in the Matrix aside, you may be surprised what happens in the long run. Writing is not a game for those who want instant gratification.